Options for tea drinkers abound with green, white, oolong, black and more as we have discussed earlier. Also well-known are the many tisane blends; be they pure herbals or herbal tea blends. Rooibos represents another option for an infused tisane and one that is growing in popularity due to its caffeine free nature and mix of anti-oxidants. Camellia Sinensis naturally has caffeine as a self-defense mechanism, and decaffeinated tea in the U.S is allowed to have up to 5% residual caffeine. The rooibos plant has no caffeine at all. Rooibos also enjoys significant popularity for the wide variety of anti-oxidants it contains including aspalathin which is only found in rooibos. The scientific name for rooibos, which comes from Afrikaans meaning “red bush”, is Aspalathus Linearis. Coming from the legume family, rooibos is related to beans, peas, clover, and peanuts, though the family also includes over 16,000 other species. 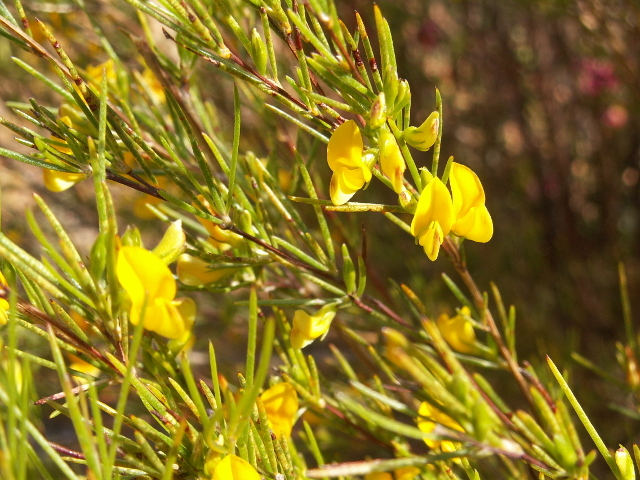 It is a shrub that grows up to 6’ in height with green, needle shaped leaves and yellow flowers. Rooibos is only grown in one location in the world, the valleys of the Cederberg Mountain region of Western Cape, South Africa, to the north of Cape Town (South African National Biodiversity Institute, 2007). Production of finished rooibos for export comes from both the needle shaped leaves and bits of small stem. The leaves of the plant and small stems are harvested from January to March, the South African Summer to Fall season. After harvesting they are cut into small pieces and bruised, similar to the bruising of tea leaves to bring out flavor and encourage oxidation. After bruising, the leaves are traditionally moistened and allowed to oxidize in piles before drying in thin layers in the sun. This oxidation process is what produces the deep red-brown color and its sweet, woody taste and aroma. In much the same way that green tea is produced by preventing the fermentation process, green rooibos is also produced by skipping the fermentation stage and moving straight from cutting to drying in the sun. While rooibos is increasing in popularity and is a significant crop for the Western Cape region of South Africa, there are concerns both about the impact of production on the environment as well as the threat to rooibos from climate change. Rooibos comes from one of the most biologically diverse regions of the world and the birthplace of modern humans. 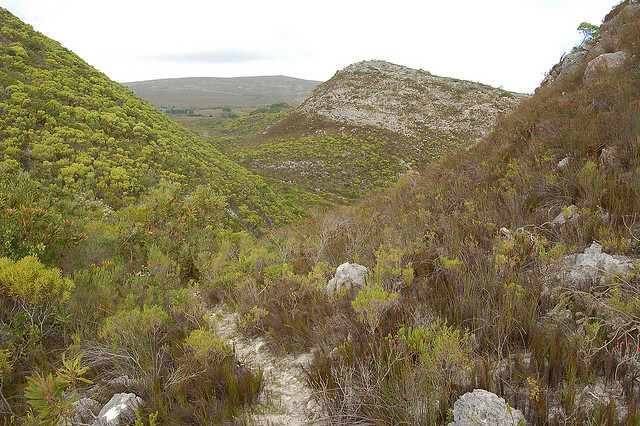 The area has several distinct regions ranging from coastal, to lowland fynbos (shrubs with varied shapes and sizes), and mountains with many others in between. (Fynbos Forum, 2005) The specific region where rooibos is grown recently was designated a World Heritage Site, yet the majority of land is privately owned, so the need for responsible land use and development practices has driven the South African Rooibos Council to develop Right Rooibos, a program to foster sustainable production practices for the industry and support production while protecting the environment. More recently farmers have noted increasing temperatures and drier conditions, both of which are being attributed to climate change. This trend, if it continues is expected to make it harder to grow rooibos and eventually could mean the demise of the industry. (Price, 2012) And since rooibos, thus far, has not been successfully cultivated anywhere else in the world, the end of rooibos in South Africa would mean the end of rooibos globally. For now, we continue to enjoy rooibos and wish the best for sustainable farming practices under the Right Rooibos program. We love rooibos straight or blended with more traditional teas and herbals. How about you? Have you tried rooibos? Tell us what you think. Post a comment here, message us on Twitter, or leave a note on Facebook. Fynbos Forum. (2005). Ecosystem Guidelines for Environmental Assessment in the Western Cape. Sounth Africa. Hansen, T. (2006). Sustainable Rooibos Initiative. Greater Cederberg Biodiversity Cooridor & South African Rooibos Council. This entry was posted in Types of Tea and tagged Rooibos, South Africa, South African, South African National Biodiversity Institute, Tea, World Heritage Site. Bookmark the permalink.